A little poster project for AIGA. This year it's travel posters. Pick a place real or fantasy and make a travel poster to that destination. I always loved those strong graphic solutions that Leonetto Cappiello had done in the late twenties. Not really deco posters but strong simple editing of elements to make the image bold and direct . Did some thumbnails of ideas to help me sort out what might work. I came up with two ideas that I could not make up my mind between, so I did both. 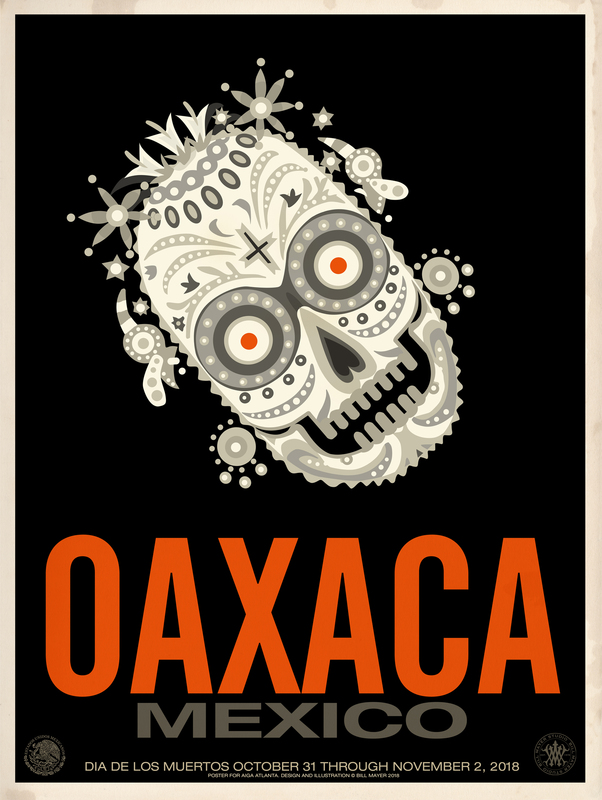 The Dias De Los Muertos poster for Oxaca really was a very simple editing of the stylized sugar skull icons . Very traditional subject matter. I tried tractional painting of the skull and opted for digital rendering of the same image. 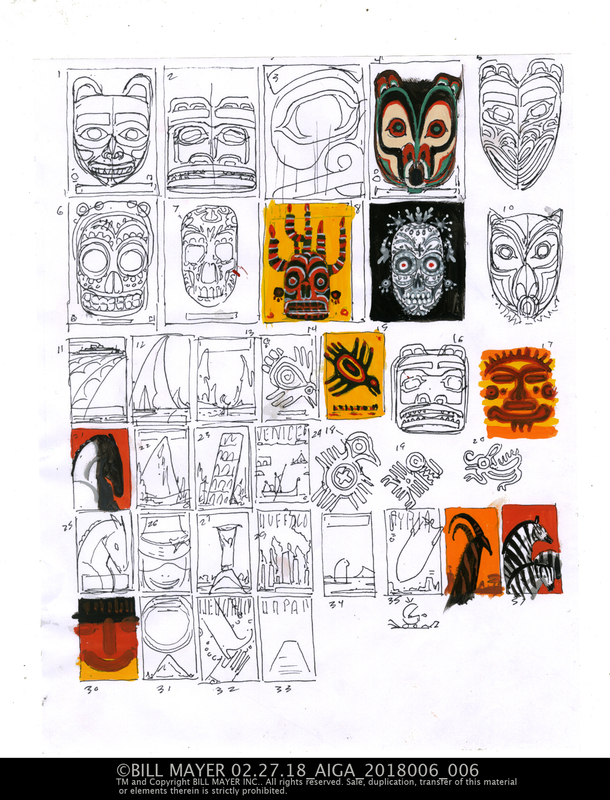 The twisting and shrinking of the skull came as an after thought as I started pulling together the final poster. I kept the type simple as well. 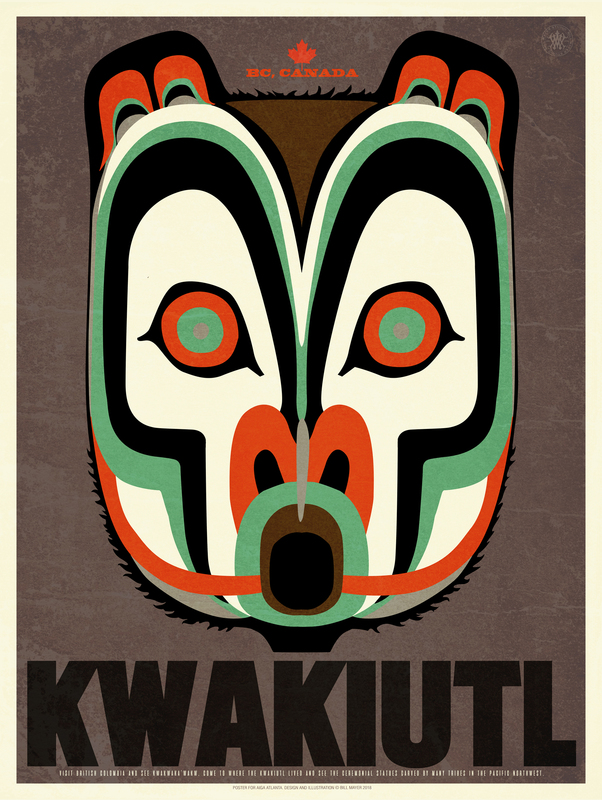 Kuakiutal was using the same tractional origin of native masks and totems blown up large and simple type to play into the same feeling as the skull.